Outgoing Secretary of State John Kerry, who’s been tasked with the increasingly grueling job of dealing with right-wing Israeli Prime Minister Benjamin Netanyahu’s ideologically rigid leadership, gave an unusually fiery speech on Wednesday outlining the Obama Administration’s reasoning in not vetoing last week’s UN Security Council decision against Israeli settlement activity. In a nutshell: because Israeli settlers illegally building homes deep into Palestinian territory makes the prospect of a two-state solution—long accepted as the only pathway, if inherently bumpy, towards relative peace in the region—effectively impossible, undermining Israel’s own long-term interests as well as Palestinian interests, U.S. interests, and the stability of an already destabilized Middle East. The extreme obviousness of this fact did not particularly help him get his point across to Israeli leadership, the GOP, several U.S. Jewish groups, and incoming Democratic minority leader Chuck Schumer. Despite our best efforts over the years, the two state solution is now in serious jeopardy. The truth is that trends on the ground –violence, terrorism, incitement, settlement expansion and the seemingly endless occupation – are destroying hopes for peace on both sides and increasingly cementing an irreversible one-state reality that most people do not actually want. Today, there are a similar number of Jews and Palestinians living between the Jordan River and the Mediterranean Sea. They have a choice. They can choose to live together in one state, or they can separate into two states. But here is a fundamental reality: if the choice is one state, Israel can either be Jewish or democratic – it cannot be both –and it won’t ever really be at peace. “He deals obsessively with the settlements, he fails to deal with the Palestinian failure to recognize a Jewish state,” he said. Since the resolution passed, Israel announced that it would move ahead with thousands of new settlements and promised retribution against Security Council countries. “The man who just a month ago told us that the world worships him, declared war this evening on the world, on the United States, on Europe, and is trying to calm us with conceit,” opposition leader Isaac Herzog said of Netanyahu in a Facebook post. Netanyahu has accused the U.S. of “colluding” with Palestinians in an effort to get the UN resolution passed and of drafting the speech itself, and promised to share “evidence” of this with the incoming administration. 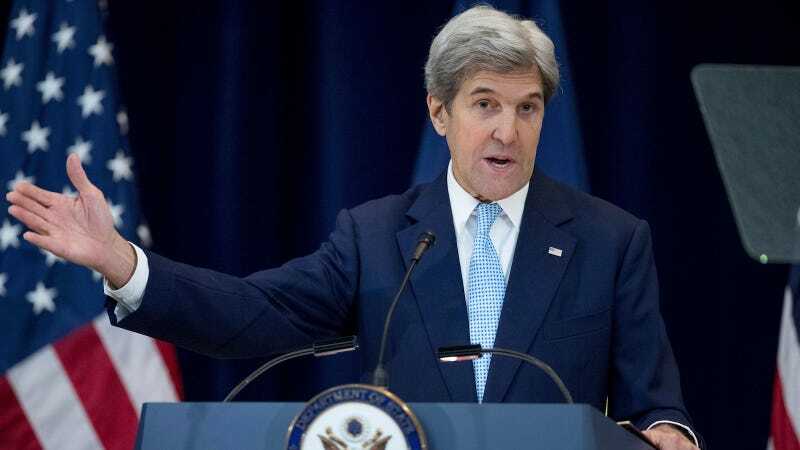 Kerry denied such collusion in his speech, although he acknowledged that the U.S. took part in “preliminary” discussions and told other Security Council members that they “might” not block a resolution if it was balanced enough. A leaked document reported by Haaretz via an Egyptian news site, whose contents the State Department and government officials have denied as false, reportedly showed U.S. officials promising not to veto the resolution if balanced wording was used. Haaretz noted that the document could not be determined as authentic. U.S. officials told the Washington Post that “while Kerry and Rice met separately with Erekat during a visit here, they said, there was no intelligence official and no discussion of a resolution.” Multiple diplomats told the Post that “few—if any” council members knew how the U.S. would vote on Friday. This has all boiled over into something very convoluted and very polarized, even by Israel-Palestinian conflict standards. Lucky for the world, Trump’s got a completely unqualified bankruptcy lawyer on the case.